Cove Cay Village II includes two buildings located closest to the back entrance gate off Haines Bayshore Blvd. 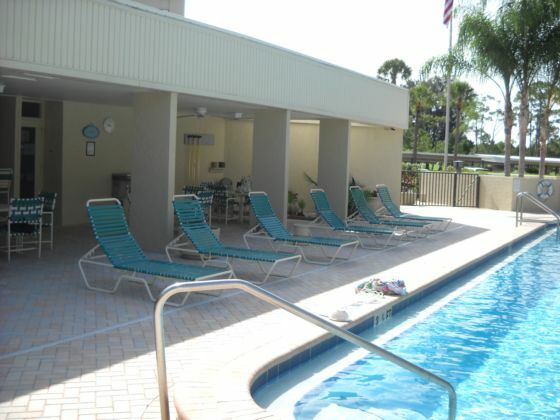 You will have stunning views of Tampa Bay, the Bayside Bridge, the Cove Cay Golf Course and the skyline of downtown Tampa from many of the condos in this Village. The two ten story buildings in Cove Cay Village II were built with two elevators each. All of the condos originally included a screened balcony when constructed but some owners have chosen to incorporate the balcony into the living area. Your will enjoy your own private laundry room which has additional storage space located across the hall from the front door. Studio Condo: One bathroom with tub and shower, laundry room inside the condo, 748 sq. ft.
One Bedroom Condo: One bathroom with tub and shower, a half bath, laundry room located across the walkway from the front door, 810 sq. ft.
Two Bedroom Condo: Two bathrooms, one with a tub and shower, one with a walk-in shower, laundry room located across the walkway from the front door, 1050 sq. ft. to 1250 sq. ft.
Penthouse Condo: Unique three bedroom floor plan with two bathrooms, one with a tub and shower and one a walk-in shower. Laundry room located across the walkway from the front door. 1242 sq. ft. to 11676 sq. ft.
Every condo has an assigned covered carport with plenty of guest parking available. Village II is pet friendly. Owners in Village II are permitted to have one 25 pound dog or two cats in residence. You will enjoy the newly remodeled club house with its stone fireplace and full kitchen. Play some pool on the standard table or borrow a book from the lending library. Relax in the comfy chairs and watch the big game or a movie on the flat screen TV. The Village II fitness center is outfitted with the latest in equipment that include weights and a TV to entertain you during your workout. You will ease your stress in the sauna and showers located in the recently renovated men’s and women’s rooms. 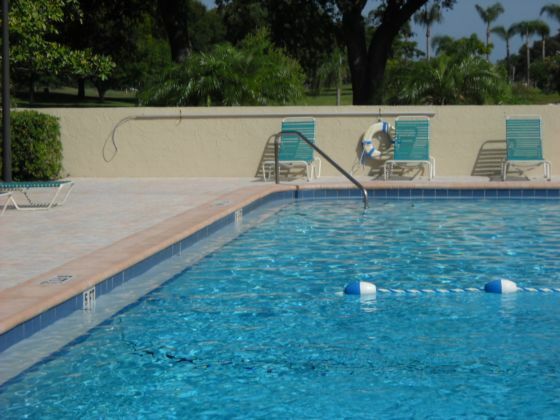 The heated in-ground pool and spa provides you with the perfect location to relax. Enjoy the thatched roofed tables and lounge chairs while sit back to enjoy the sun and fun. You’ll find this oasis located behind the clubhouse. Buildings 2620 and 2621 comprise Cove Cay Village II.